Approximately 120 RMB per trip and 60 minutes. (Convenient, not very expensive, but less challenging). It you like challenges, this may suit you better. There are two transfers to make. First, take the airport express to SANYUANQIAO (三元桥) (25RMB); then make a transfer (another 2 RMB and that is it!) 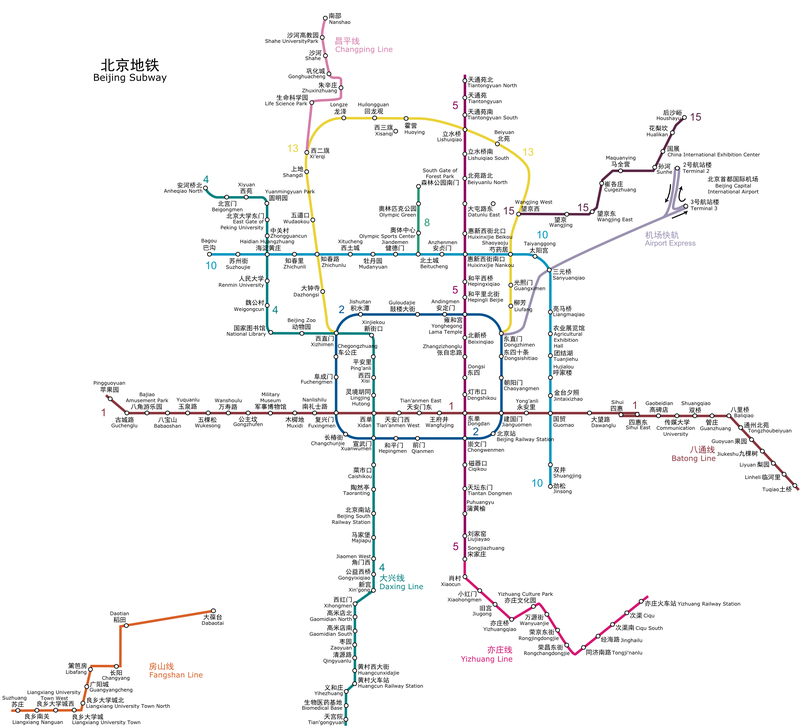 to line 10 (to BAGOU direction) and get off at ZHICHUNLU (知春路) station (approximately 9 stops); finally, take line 13 and get off at WUDAOKOU （五道口） station (just 1 stop). Exit the station and then it is about 10 minutes' walk to the hotel. Walking direction: head to the west and make a right turn at the intersection of CHENGFU street （成府路）and ZHONGGUANCUN South Street (中关村南大街). Walk about 5 minutes and make a left turn at the first stoplight. That is the hotel! Subway map.